We art the Franks of the Filth, mother fuckers. 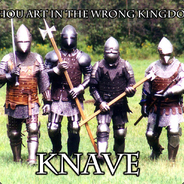 Welcome to the Franks of Filth, a Chivalry: Medieval Warfare focused Steam group/clan that implements teamwork and organization. We will also branch into other games from time to time to experiment with applying real-world tactics to videogames (think doing a shield wall in TERA). However, if you do happen to join this group for the sake of working with your other members as a coordinated team, do not expect to be a hero. There are no one-man armies here. We stick together, we communicate, and we plan. You will die a lot, I will die a lot, everyone will die a lot. This is about winning, not being the biggest badass on the battlefield. DISCLAIMER: I do not profess to be an expert on historical medeival warfare. DISCLAIMER: This is the first gaming group/clan that I have ever been in or tried to lead. I have basically zero experience with clans. After much delay I've decided to finally get another practiced underway. However, this practice is heavily dependant on how many people we can get. Next weekend (August 5th and 6th) I will be on and setting up a server in the evening, probably around 5ish (this is subject to change). Anyone in the group that sees this update PLEASE let me know if you can make it and PLEASE see if you can drag anyone along with you. I would be eternally grateful. I'm going to be out of town next weekend, so we're moving the practice that was planned on the 15th a week.